The territory includes a succession of hills parallel to the coast; over time the lithological composition of these hills has created two geo-morphologically different sectors: the generally steep sector facing the sea and the more gentle rolling sector facing the hinterland. The S. Bartolo Park is characterised by the stretch of high, intense sea-cliffs which go from Gabicce to Pesaro, a rarity in all of the Adriatic coast. The rest of the protected territory is made up of rural landscapes actively cultivated until the 1950s even in places which today would be unthinkable, practically reaching the sea. Today, a part of the old cultivated lands have been returned to natural vegetation, while continuing to be the identity of an agricultural territory within the complex of the park territory. Therefore, we will divide the Park into two distinct areas, for homogeneous reading: the sea-cliffs and the inland side. 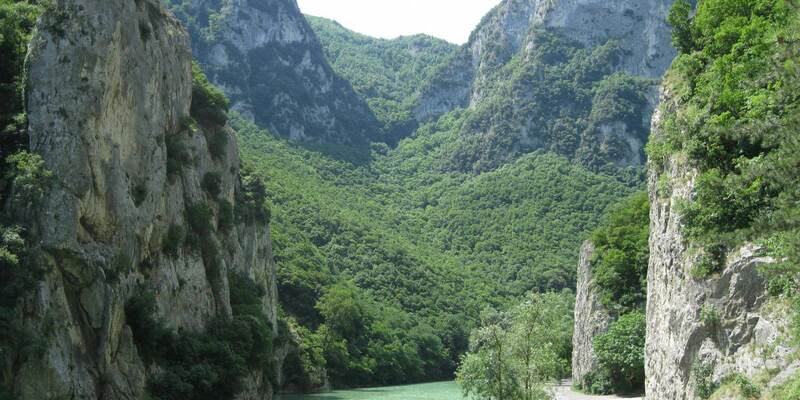 The Furlo Pass is a gorge on the ancient Roman road Via Flaminia in the Marche, where it passes near the Candigliano river, an affluence of the Metauro. 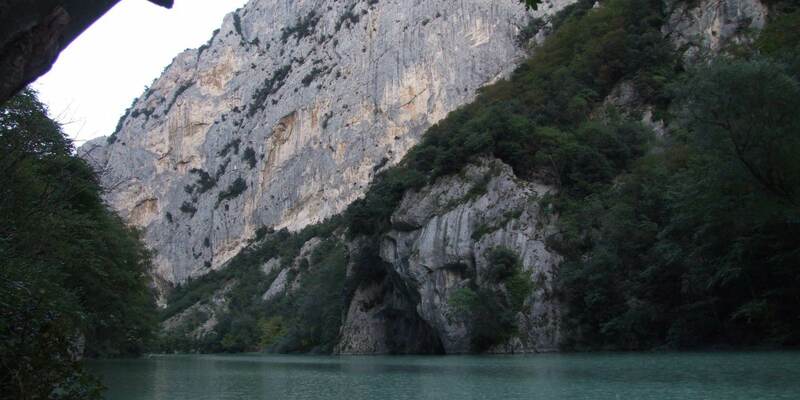 The gorge was formed between the Pietralata ( 889 m ) and Paganuccio ( 976 m ) Mounts by the waters of the Candigliano, which, until in 1922 a dam, ran at high speed in the area. 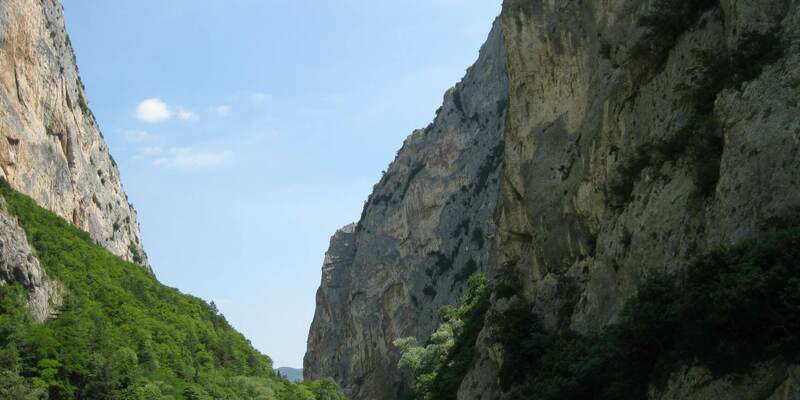 Since 2001 it is included into a State Natural Reserve with the same name. 3 of us spent 7 nights in Hotel Napoleon, Pesaro and found it a fantastic place. We were on the 5th floor had 2 rooms, both had balconies which offered us sea views. The rooms were spotless, very comfortable and brightly decorated. The cleaning staff were so friendly, every morning greeted us with smiles. Nothing was a problem for them. The food was delicious. There was a great variety and plenty of it. The waiting staff were as friendly as the cleaning staff. The hotel manager assisted us with the Jacuzzi, steam room and Turkish bath, on the 6th floor. The views from the roof (6th floor) are gorgeous with the beach directly across the road. There’s a lovely garden beside the pool on the ground floor, a games room with toys, a mini library near reception. It has only 2 lifts, only one of which goes to the 6th floor but this isn’t a problem. I would definitely recommend Hotel Napoleon Pesaro to anyone. There’s a pharmacy directly across the road from the hotel entrance and they’re very good. This is a family run hotel and the difference this makes is huge. We were made to feel right at home. Welcoming family run hotel situated right across from beautiful beach. This is a great family room hotel with friendly helpful staff who were always available to help their guests. The food was great, homemade delicious meals with a different choice every evening. The hotel is situated right across from the beach and long promenade, which is lovely to walk along at night after dinner and soak up the atmosphere and have a drink at one of the many bars. The hotel is also within walking distance of the old town and Rossinni’s house which is a beautiful area. The hotel itself has great character with an outdoor pool and a lovely area at top of hotel to sit out and enjoy the view. There is a jacuzzi, steam room and sauna also on this top floor. Our bedroom was grand had everything we needed, balcony with a lovely view, fridge, safe and television. Bathroom could do with an upgrade and was very small but was very clean and serviced every day so we were very happy overall. Would definitely recommend this hotel and would love to return again.